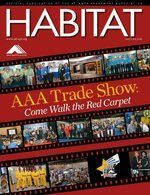 Your digital edition of Habitat - May/June 2016 is now available. Clicking on the Table of Contents will deliver you directly to that page of your issue. Thank you for reading! Atlanta Apartment Association would like to thank all our advertisers. Their support helps make this publication possible.